Budapest is somewhere we have been talking about visiting for some time but with all the other adventures and goings on we never got around to it. I have to say it does not disappoint in any way, the city really is one of the most beautiful places I have visited and the people some of the friendliest I have come across on my travels, add to this the fact that it is so cheap and you have one of the best summer destinations in Europe, though, it shines any time of year! Now usually we are hostel dwellers and over the years I have come to realise that when it comes to accommodation research is key. Some cities, Lisbon for example, offer amazing hostels which as far as I am concerned far out do their hotel competitors. Budapest I am sure has great hostels, and if you are looking for something very cheap it certainly can offer that, but what it also has is great apartments for the price you would pay for a hostel room in most European countries. This offers you much more space and privacy and usually in a very central location. Our apartment was within walking distance of the main metro station and the chain bridge. We used AltraCasa Apartments but have a look around and see what you can find. Transport in Budapest really is great, it’s the type of system you only wish your city had! Coming from a city in which not even all the buses use the same ticket, let alone all the other transport options, Budapest is a revelation! Not only can you use the extensive Metro/ Underground network but there are also Trams, Buses, Trolley Buses and Boats available all on the same ticket and for no extra cost. Now using the tickets in Budapest I have heard can be a little tricky, but instead we opted for a 72hr pass (longer can be purchased) which eliminates the need to stamp your tickets and costs around £10. It is also worth mentioning that the Budapest transportation system as well as being great value and reliable is also very beautiful. The Metro 1 line, Millennium Underground Railway, is in fact the oldest underground train line on continental Europe having been built from 1894 to 1896. The stations are all tiled and feature quaint little wooden paneled subway cars unlike any other I have seen and is in fact a World Heritage Site. What is interesting is that each metro line has it’s own style of station and cars, each representing the era in which they were built. The noise the Metro 3 cars make when closing is also a curious little tune which I can only describe as sounding typically eastern European. Metro 4 has recently opened and the stations are huge and very loud in comparison to their older relatives. The tram lines are also served by a variety of trams some older than others but what I like is that instead of needing a “re-brand” or for everything to match, they have kept the unique style of each one and in doing so represent the history of this fascinating city. Budapest itself has a long and interesting history, from the Romans to the Turks and then the unification of the cities Buda and Pest in 1873, the Austro-Hungarian Empire, two world wars, communist control and revolution. This makes the city full of a variety of influences and culture most of which is part of an extensive UNESCO World Heritage Site which include the banks of the Danube, the Buda Castle Quarter, Andrássy Avenue, Heroes’ Square and the Millennium Underground Railway. It is also built on top of 80 geothermal springs and as a result several public bathhouses which are very much a part of the culture of the city. As soon as you enter the city the beauty of the place hits you, even the most mundane and everyday buildings are ornate, grand old constructions. We arrived at night and that sometimes makes you feel as though you miss out on that first impact of a place, but not with Budapest. At night time the sights are lit up and a visit isn’t complete without an evenings stroll across the chain bridge and along the Danube to take it all in. There is literally so much to see around every corner and the city centre really is quite compact and accessible. Most of the main attractions are within walking distance or a short ride on the metro or tram. Budapest in unlike any other Eastern European city I have ever been to and really does have a character and charm of it’s own, it is much more “Western” than I had initially imagined. The people really are very approachable and speak great English too. What I loved is their enthusiasm for their city, if you ask someone they will not begrudge you but instead will take the opportunity to share with you some local knowledge or go out of their way to guide you to your destination. The shoes are a moving tribute to the Jewish citizens who were shot on the banks of the Danube by the Hungarian Arrow Cross militiamen during the second world war. They were told to take of their shoes before being shot and their bodies falling into the river. This can be found around the bank of the Parliamentary building and makes a moving stopping point whilst strolling along the river and taking the city in on the way down the chain bridge. The chain bridge is probably the most recognisable icons of not just Budapest but Hungary. Opened in 1849 it was the first permanent bridge to link together Buda and Pest. It’s location is wonderfully central and should be within walking distance of most centrally located accommodation. Take the short walk across from Pest to the Funicular and Buda castle and then gaze back down upon this marvellous bridge. But wait until night time for a real treat when the bridge is lit up and reflected in the waters of the Danube below. After crossing over the Chain Bridge you can make your way up to Buda castle via the Funicular, this is an extra cost on top of your metro passes and can be avoided by the use of some nearby steps but it is worth the small asking price just for the added experience. The original funicular was opened in 1870 but was destroyed during the second world war and sequentially rebuilt and opened in 1986. At the time of opening this was only the second funicular of it’s type in Europe. There was a little bit of a queue when we arrived at the station around lunch time as the cars themselves are quite small, however the ride itself is quite short. I would advise getting this done early as there is a lot to see once you get to the top! From Castle hill there lots to see including the castle, changing of the guards, Lion gate and of course the amazing views over the city. Buda old town is also a great walk and of course there is the amazing Matthias church and the Fisherman’s Bastion. Built between the 14th and 20th century’s it is no surprise that the castle is part of the world heritage site of Budapest. Buda Castle was the last major stronghold of Budapest held by Axis forces during the siege of Budapest which resulted in the palace being left in ruins to be reconstructed by the mid 60’s. The Matthias church has to be one of the most impressive churches I have ever seen. As an atheist I usually stay clear of such establishments but from a purely architectural perspective they are some of the most magnificent buildings I have seen (St Basil’s in Moscow being another one). From what I have seen within eastern Europe the churches seem to be very ornate both externally and internally and can be almost too much for your eyes to take in! Legend has it the original church was built in 1015 but the current church was constructed in the second half of the 14th century. Like many of the historic buildings in Budapest it has been a central part of the timeline of the city from the Turkish occupation to the second world war. 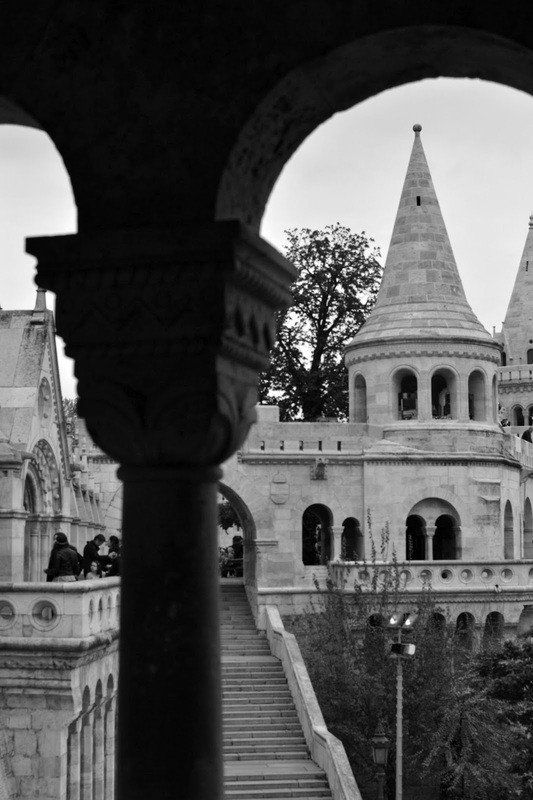 The Fisherman’s bastion is an impressive terrace built between 1895 and 1902 and then intensively restored from 1947 to 1948 following the damage sustained during WW2. The construction includes seven towers which represent the Magyar tribes which settled in the Carpathian Basin in 896. The fisherman’s guild which was responsible for the defense of this stretch of the city walls in the middle ages is where the Bastion takes it’s name. You can pay to get on the higher tier of the terrace near the section closest to the statue of St Stephen, but really you can save your money, walk a little further around and go up and inside the main tower for free. The whole area around here is beautiful and quite peaceful, although it can get quite busy. This is a great place to have a good wander around and then either get some lunch in one of the terrace cafes or sit in the square and take it all in before exploring the rest of Buda. Around Gellert Hill there is quite a lot to see. You will find out once you get to the top that most people take coaches around the back, but then they miss out on the leafy and picturesque walk. We started off up the hill just by Elizabeth Bridge which will shortly bring you to a statue of Gerard Sagredo, this in all honestly isn’t as well kept as it deserves to be, but keep on going! At the top of the hill you will find the Citadella, the “Statue of Liberty” and some amazing views both up and down the Danube. It was quite surprising how busy it was up here compared to how quiet the walk had been and I can’t help but think all those on coach trips missed out! The main statue is a relic of communism in Hungary and is an impressive sight. We decided to walk back down through the park again, but this time to the right, to see the Gellert caves and baths in the square below. We then look the opportunity to cross the impressive Liberty bridge built between 1894 and 1896. The Hungarian Parliament building is an impressive structure which lies on the banks of the Danube and is currently the largest building in Hungary and the tallest in Budapest. Constriction began in 1885 and was finished in 1904, before it’s completion the architect Imre Steindl in fact went blind. It is actually possible to tour the building inside but unfortunately we just didn’t have time, when we arrived mid morning the queue was almost all the way around the building, so plan and book ahead! Again, like much of Budapest, it is at night when the true splendor of the building become apparent and a trip to Budapest is not complete without a night time viewing across the water of this magnificent construction. St. Stephen’s Basilica is again one of the most beautiful buildings I have ever seen and it only gets better on the inside. Built in 1905 and named after in honour of Stephen, the first King of Hungary (c 975–1038), whose right hand is housed in the reliquary. You can enter the main building for a small donation and also visit the terraces above (for a fee) which I would recommend. Not only do you get to see great views of the city, but you get to see the details of the building up close and also the internal structure of the dome. Located on the historic Andrássy Avenue in the former headquarters of the secret police this is a fascinating museum documenting the fascist and communist dictatorial regimes in 20th-century Hungary and memorial to their victims. The external design of the building is also quite striking and it turns the building itself it to monument type structure. Closed on Mondays, this is an educational and informative look at the history of Hungary and well worth a visit, especially if you have an interest in this period of history as I have. Tram 4, 6 to OKTOGON. Margret island is an island in the middle of the Danube which can be accessed via Margret Bridge. It is a peaceful place mainly made up of parks and recreational facilities, we hired out a pedal buggy and went and explored the island. It is a nice change of pace to the rest of the city and there are lots of things to see on the island such as the ruins, water tower and monument. Heroes square or Hősök tere in Hungarian is an iconic statue complex featuring the Seven Chieftains of the Magyars and other important national leaders, as well as the Tomb of the Unknown Soldier. It is at the entrance to City Park and at the end of Andrassy Avenue. We got off the Metro 1 line a few stops earlier to walk along this famous avenue towards the park. After that we took a walk through city park taking in the Vajdahunyad Castle and the famous Széchenyi Baths built in 1913. The park is quite large and there are many hidden treasures to be found if you take some time to explore. The Celeritas shooting club is a little off the beaten track and takes a little more effort to get to but it is well worth it. Having never shot a gun before I was a little nervous but the instructors are brilliant and make you feel confident and safe. 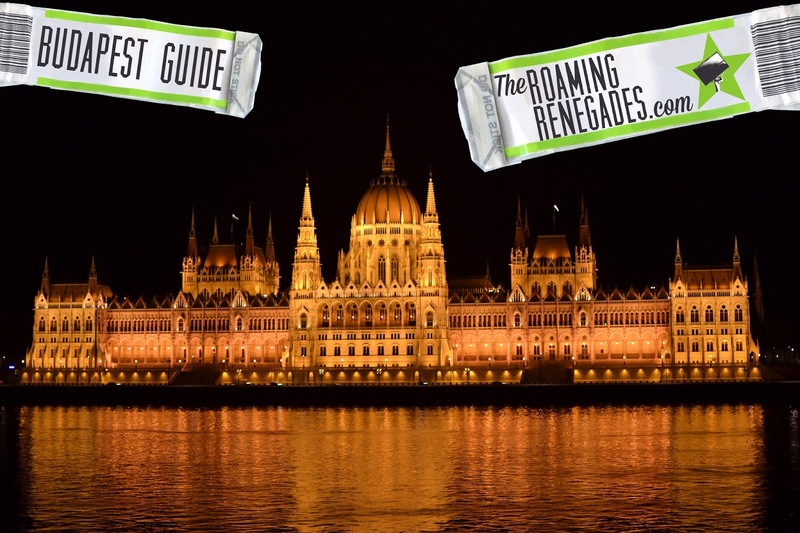 They have a range of packages and additional add-ons for a reasonable price, although after spending a few days in Budapest before it might feel a little expensive! To use the shooting club you must book in advance and pay a deposit. We opted for the earliest which is 12 noon so we could make the most of the day afterwards too. The area around is very residential and we arrived quite early and took a walk around the neighbourhood which has a very different feel to the centre of Budapest. Takes around 1 hour from Budapest. If you want to know more about our day at the shooting range here is a dedicated post about this amazing bucket list experience: We shot and AK47 in Hungary! Budapest is definitely towards the top of the list in terms of cities I have visited, the beauty of the place is almost unrivalled and combined with the approachability of the people and the budget friendly prices Budapest has to be up there on your European travel list. It has something for everyone from shooting to saints and is one unforgettable trip! Traversing the dramatic CARRICK-A-REDE coastal rope bridge! Cheers, have a great time! I was last month in Budapest. I really loved it, its amazing! Your stories and photos are great! :) If you are interested in an easy way to find everything you need in Budapest, I can recommend you a free and easy-to-use app called Huny (you can check it on Facebook: https://www.facebook.com/HUNY-152552281769703/timeline). Also have a navigation system. And the best: you can find what’s open in real time. It was really useful and helped me a lot. Oh that sounds really useful, thanks! Yeah it’s a beautiful place isn’t it, we really did enjoy our time there and would love to go back one day.